Do you understand Google Analytics? A few months ago, I asked my newsletter subscribers what kind of issues they needed help with. The Canva tutorial I published recently was a direct result of that conversation. But that’s not all they asked for. My subscribers also wanted to understand analytics better. Now, that’s a huge subject, but it’s one I’ve written about a lot. Most of the articles have appeared on Crazy Egg, though there have been a few on other sites. And, of course, there are lots of other ghostwritten articles I can’t claim credit for. 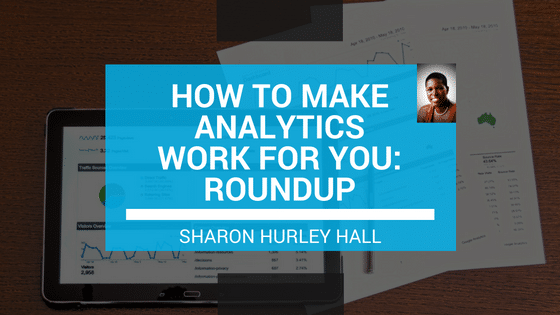 So here’s almost everything I’ve written about analytics in the hope that you will get some insight into how to use it effectively for your own business. Analytics Update: Do You Need a Second Analytics Package? Well, I hope you found something helpful in this list. I plan to update it as I publish more articles on analytics and related topics. And if you’re looking for more: check out my content marketing roundup. Happy reading! I appreciate the collection of inks, as I’m likely to add much of the articles to Evernote.